What is missing in world of tanks ! first i am not good at English ! but i hope i can deliver my idea .. 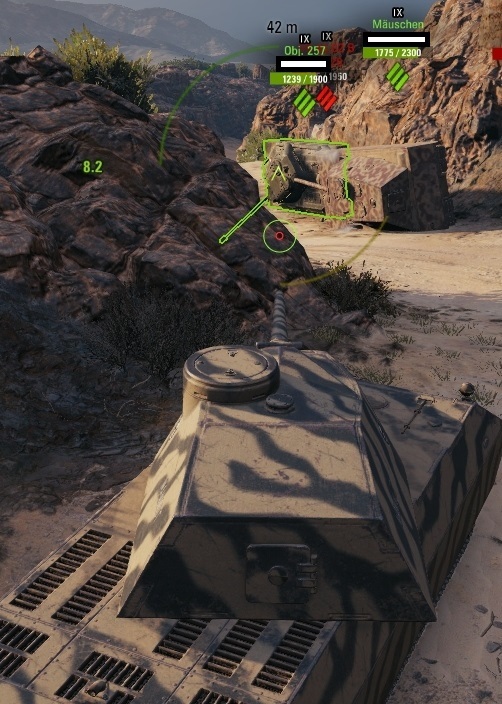 I have noticed a lot of playing the game that when my tank is stuck during the battle many players reacts to help me and make the tank move again. This mean in my opinion that the players likes to be alive in the game because it is a multiplayer game, and that is what the company does not focus on !! I have an idea to strengthen communication between players and through the game may feel more alive that give player " the option of repairing friends tank ! " I do not know how to do this ! but the idea is to strengthen the players communication.. and i think it is realistic and was happening during the World War. It makes sense, maybe make an aura around the tank where people get a bonus to their repair skill. On the other hand though, the game is already complicated enough as it is, and teammates constantly ramming you or driving in front of your gun or pushing you or otherwise blocking you even more than they did before won't necessarily help. Sir, you read my mind. To be more specific - teams that have them. Currently you're not only risking your own HP from bumping into them but since you're the last tank they've had contact with it's also you that will get credited with a TK if they for example end up on their roof while your trying to help them and sadly in most cases it's the better call to just ignore the situation since it's simply impossible to do something that won't result in something worse. Yes! I want a healer-class! make it a wheely-healer!